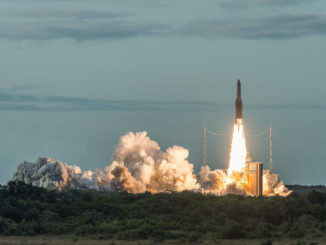 Launching from the frontier of the Amazon jungle, the Soyuz soared north over the Atlantic Ocean, crowned with a European Earth observation satellite to scan planet Earth with radar beams, a French science probe to test the universality of free fall, and three CubeSats built by university students in Belgium, Denmark and Italy. The 151-foot-tall (46-meter) rocket launched Monday on its fourth try. Launch attempts Friday and Saturday were called off due to unfavorable high-altitude winds over the French Guiana launch base, and a failure in the Soyuz rocket’s guidance system forced another delay Sunday. Russian rocket technicians replaced the Soyuz booster’s faulty inertial measurement unit overnight in time for Monday’s countdown. A cluster of kerosene-fueled rocket engines ignited in the final seconds of the countdown, and hold-down petals opened to allow the Soyuz booster to climb away from its launch pad at 2102:13 GMT (5:02:13 p.m. EDT) Monday. The Soyuz ST-A rocket thundered into a partly cloudy evening sky, breaking the sound barrier in less than a minute and dropping its four liquid-fueled strap-on boosters just before the two-minute point of the flight. The quartet of spent rocket engines spun off the rocket, flickering in stratospheric sunlight as the launcher’s core engine continued to drive the Soyuz into space. Seconds later, the nose cone shielding the mission’s five satellite passengers jettisoned. A third stage RD-0110 powerplant took over about five minutes after liftoff, then gave way to a Russian-built Fregat upper stage to undertake the complex job of placing the rocket’s payloads into three distinct orbits hundreds of miles above Earth. The Fregat’s first main engine firing delivered Sentinel 1B, the fourth satellite to join Europe’s Copernicus Earth observation fleet, into orbit. The 2,164-kilogram (4,770-pound) satellite separated from the rocket at T+plus 23 minutes, 35 seconds. Tracking data indicated the rocket released Sentinel 1B into an orbit ranging between 693 kilometers (430 miles) and 701 kilometers (435 miles) at an inclination of 98.2 degrees, very close to preflight predictions. 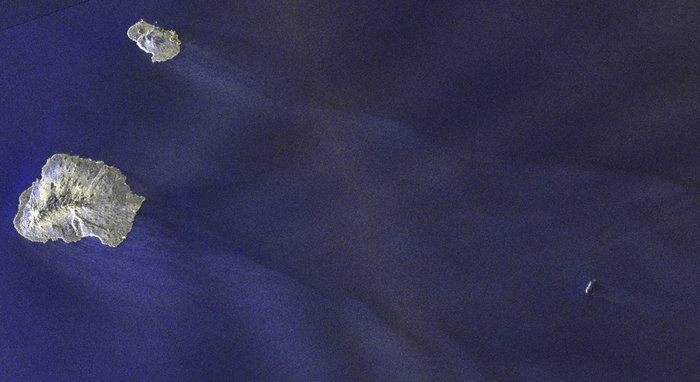 Sentinel 1B joins an identical spacecraft launched in April 2014 to survey Earth’s surface day and night with an all-weather radar that can spot icebergs, oil spills, volcanoes and other natural phenomena regardless of lighting or weather conditions. It is the fourth satellite overall to launch for Europe’s Copernicus Earth observation network, which divides spacecraft into six families to track changes in the environment on land, sea, ice and in the atmosphere. “Sentinel 1B is already starting its preparation to soon provide European citizens with all-weather, day and night radar imagery to be used especially for land and sea mapping,” said Stephane Israel, Arianespace’s chairman and CEO. The multibillion-dollar Copernicus program, led by the European Commission with support from the European Space Agency, is the most ambitious space-based Earth observing network ever developed, aiming to field a fleet of satellites to monitor the planet over timescales measured in decades. The new satellite is a combined effort by two rival European aerospace contractors. 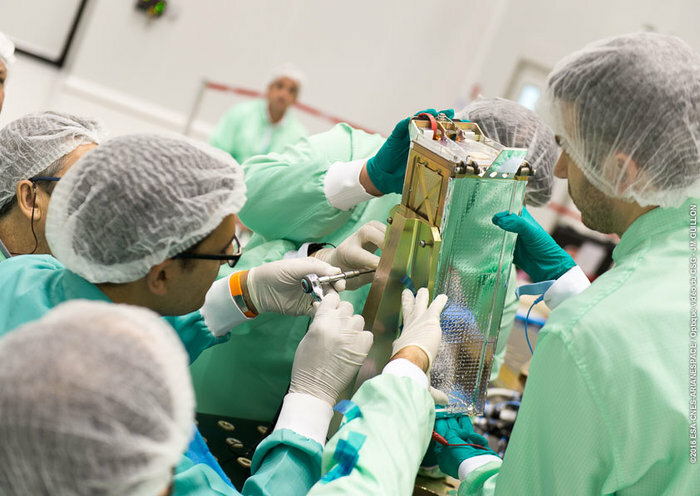 Sentinel 1B’s spacecraft platform was built by Thales Alenia Space, and its C-band synthetic aperture radar antenna, comprising 560 dual-polarized small transmitters and receivers, was provided by Airbus Defense and Space. Ground controllers at the European Space Operations Center in Darmstadt, Germany, took over control of Sentinel 1B moments after its separation from the rocket Monday, verifying the spacecraft was healthy as it started a complicated sequence to unfurl its two power-generating solar panels and rectangular antenna, which measures 12 meters (40 feet) long and a meter (3 feet) wide. The critical, make-or-break deployments took more than 10 hours. Officials confirmed early Tuesday the solar panels and radar antenna were fully extended. Within a few days, Sentinel 1B’s radar should be activated and begin capturing imagery. It will take three months before officials declare Sentinel 1B operational, when it will start a seven-year mission working in tandem with Sentinel 1A launched in April 2014. 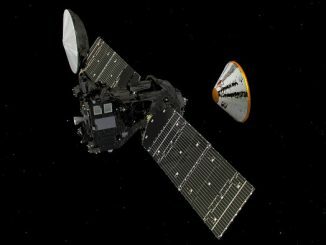 The satellites will fly in the same orbit 180 degrees apart. Two satellites will double the Copernicus network’s radar coverage, which is mainly used to track sea ice, oil spills, monitor ship traffic and observe natural disasters, such as floods, landslides and volcanoes. That is the revisit time over higher latitudes, such as Europe. Radar passes over equatorial regions will be less frequent, occurring every six days, but still double what is possible with only Sentinel 1A in service. Spaceflight Now members can read a transcript of our full interview with Guido Levrini. Become a member today and support our coverage. 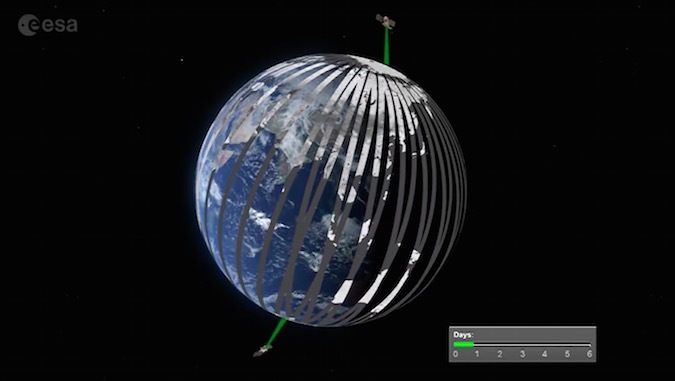 The radars aboard Sentinel 1A and 1B are designed to scan Earth in strips as the spacecraft circles the planet over the poles every 100 minutes. In its most high-resolution mapping mode, the Sentinel radar returns images with a pixel size of 5 meters, or about 16 feet, with a swath width of 80 kilometers, or about 50 miles. But the satellite can adjust the radar sensor to a wide-angle mode to see a strip of Earth as wide as 450 kilometers, or 280 miles, trading resolution for viewing area. Four (Sentinel) satellites are now in orbit,” Breger said in remarks after Monday’s launch. “Six Copernicus services are operational and are computing bits and byes from the satellites, delivering information available to the public at large in a free and open data policy,” Breger said. “This means that it is available to businesses to make further products, that it is available to citizens interested in forecasts of the atmosphere, and interested in the state of the environment around them. Ships navigating perilous ice-covered waters in the North Atlantic will also benefit from the satellite launched Monday. 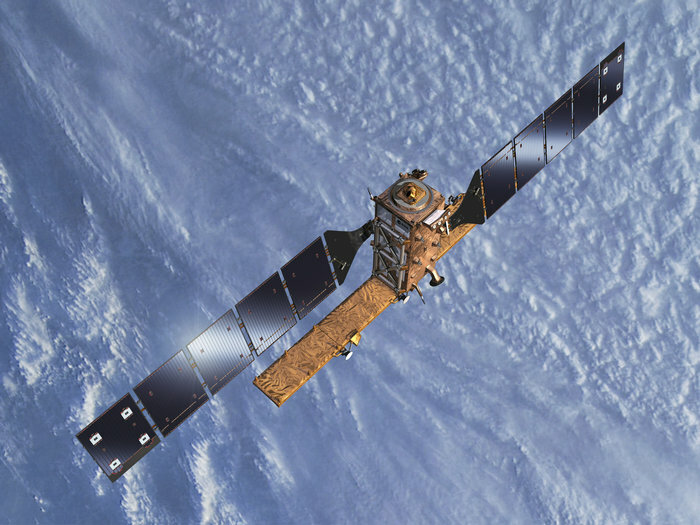 Jens Jacobsen, ice advisor at the Center for Ocean and Ice at the Danish Meteorological Institute, said data from Sentinel 1A and 1B is supplanting ice reconnaissance information from airplanes and helicopters. 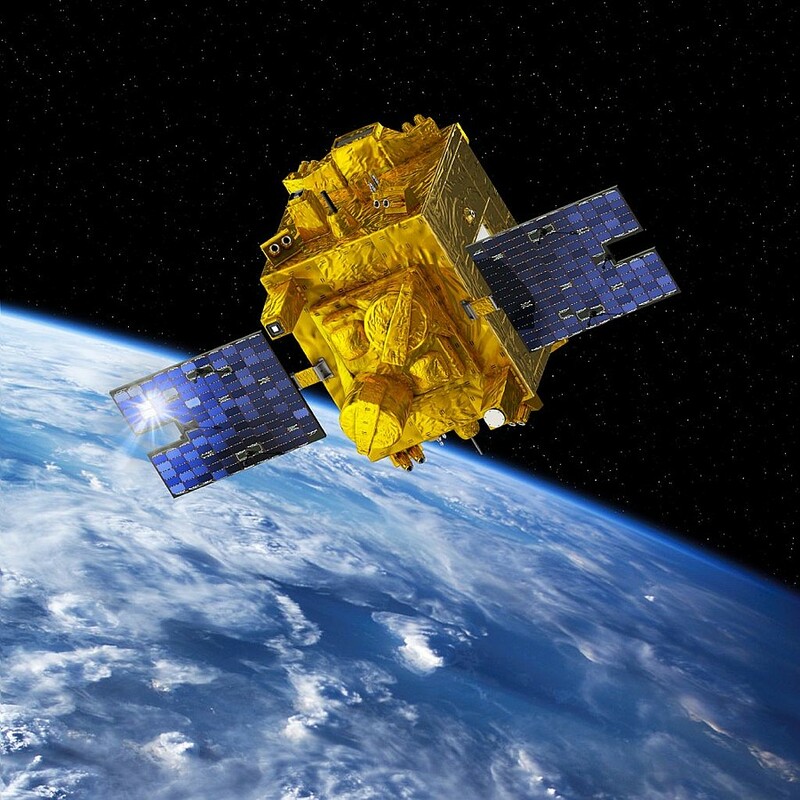 Levrini said Sentinel 1B cost about 140 million euros, or $157 million, to build. That is half the cost of Sentinel 1A, with the savings realized by manufacturing the satellites back-to-back and minimizing recurring costs. Two replacement satellites, Sentinel 1C and 1D, are already under construction to launch in the early 2020s when the current spacecraft end their missions. That ensures Copernicus users access to radar data through at least 2030. Four other satellites joined Sentinel 1B on Monday’s ride into orbit. After releasing Sentinel 1B on its mission, the Soyuz rocket’s Fregat upper stage ignited its main engine again to slightly lower its orbit before ejecting three tiny CubeSats made by university students in Belgium, Denmark and Italy. 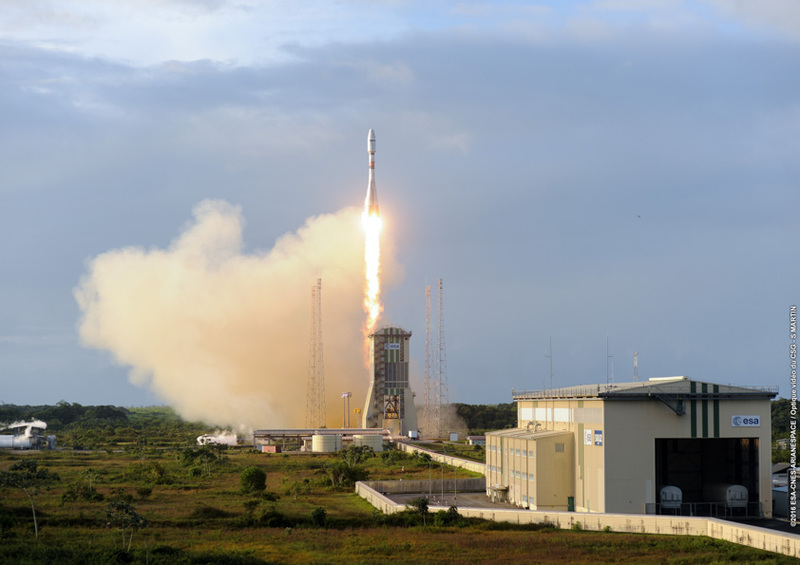 The CubeSats were sponsored by the European Space Agency’s “Fly Your Satellite!” program, an educational initiative that intends to give low-budget student space missions launch opportunities. Each CubeSat weighs about a kilogram, or 2 pounds, and were put in an elliptical orbit to make sure they re-enter Earth’s atmosphere at the ends of their missions and not become space debris. The CubeSats selected by ESA for Monday’s launch included e-st@r-II from the Polytechnic of Turin, Italy, which will demonstrate an attitude control system using measurements of Earth’s magnetic field. The AAUSAT-4 CubeSats from the University of Aalborg in Denmark will operate an automated ocean vessel identification system to help track maritime traffic, and OUFTI-1 from the University of Liege in Belgium will test an experimental communications subsystem, according to ESA. Amateur radio enthusiasts around the world were expected to listen for signals from the CubeSats in the hours after their deployment in space. Once the CubeSats were on their way, the Fregat rocket engine fired two more times to raise its altitude to about 711 kilometers (441 miles) to cast off France’s Microscope probe, a 303-kilogram (668-pound) spacecraft on a two-year mission to check a key tenet of Einstein’s theory of general relativity. Microscope will test the equivalence principle, which states that different objects fall the same way in vacuum. The principle is part of Albert Einstein’s theory of general relativity, but the concept was first proposed by Galileo, who famously dropped objects off the Leaning Tower of Pisa to investigate the physics of free fall. Developed by CNES, the French space agency, Microscope contains two concentric cylindrical test masses to be suspended in an electrostatic field. The motion of the two test masses — one made of titanium and the other made of a platinum-rhodium alloy — should be the same if the equivalence principle is an unbendable law of physics. Scientists will compare the motion of a proof pair of test masses, both made of titanium, inside the satellite with the different set of test spheres. Low-impulse micro-thrusters mounted outside the satellite will keep the spacecraft stable for the precise measurements. The Microscope satellite’s instrument, developed the French national aerospace research lab ONERA, will be turned on May 2 for testing. The test masses are due to be released from their launch cages the same day. Two months of testing is needed before researchers begin taking measurements. Scientists said the first results should be available in January 2017. The Microscope mission has been in development since 1999 and aims to test the equivalence principle with 100 times greater precision than feasible on Earth. 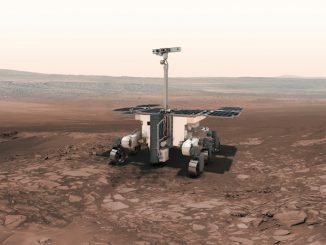 Microscope’s mission is valued at 130 million euros, or $146 million, according to Julien Watelet, a CNES spokesperson.